No superhero is complete without their cape. That is why Batgirl is no different. Just like Batman, Robin, Wonder Woman, and Superman, Batgirl flies through the sky taking down villains with her fun and feminine cape. 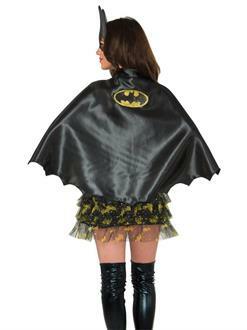 Keep it all together when you become Batgirl for Halloween this year.